I was interviewed a few days back by GMA News TV for a segment on fashion. They haven’t shown it yet but I’ll definitely tweet when it’ll be aired. One of the outfits I styled for the interview was this one. The pants may look a little familiar to some of you because they’re the same pants Lauren Young was wearing for the Jellybean campaign I styled. When I first saw these, I fell in love with them immediately. The Jellybean team must have noticed the stars twinkling in my eyes so they sent me these plus a whole bunch of Jellybean goodies. Yay! Happy girl right here! Summer is always about color for me. Maybe it’s the sun. The intense heat just makes all things bright and colorful extra pretty in my eyes. The gorilla pose is back! What’s that in your head? Where can I find one? I’m back for advice from you! How comfy are those shoes (been staring at the yellow and I’m falling in love)? I’ve been looking for a good brand that won’t break the bank. I’m swapping Nine West (I’m thinking of shoes I can wear to work) for something with better build since I’ve noticed that they’re make is not that sturdy anymore. :( Any suggestions? Hi ate camille! I love your blog so much! And the way you mix and match those prints girl are just pure genius! Oh, can i ask if i will be able to pull off those type of cuts in pants and if patterns are okay with a pear shaped body like me? I’m 5’7″ have small waist but big hips. Haist. Super hard to fit in awesome pants. Huhu..
Ahhh.. :) thank you ate camille! Looks good on you Ate Camille! You should! They’re affordable too! I love these prints!! They look amazing styled this way. Well for me they are :) Thanks Pat! Camille, I can’t see my recent comments. Not appeared? You look great with a turban :) and gorgeous outfit! The colors just pop! LOVELY! Camille, is Arnold Co your brother? The owner of Stria Wall creations? Or are you in anyway related to him? keep up the good work! i totally admire how you update so frequently! Lovely prints. wooow, super bright shoes. Love it. You truely have a gift! you never fail to amaze us with your style and by just being you…you are such an inspiration..
PS: Ive found something same to that, just by clicking GALLERY to the post format but doing so will display the picture in a small size, and it is ugly unllike yours. you can always check on blog. im using wordpress. I have a one suit thing like that but it’s bitin! As in an awkward bitin! HEHE planning to have it cut so it can be shorts. Btw, do you wear the hat thing the whole day or you do remove it? Db it will line when you’re gonna remove it? If I wear a hat I either remove it every few minutes or wear it the whole time I’m out =)) You look so fierce here, I love it!!! Awww thanks Mischaelle! :) No. 0 talaga para mas mauna sa 1? Haha cute! I love this! HAHA. 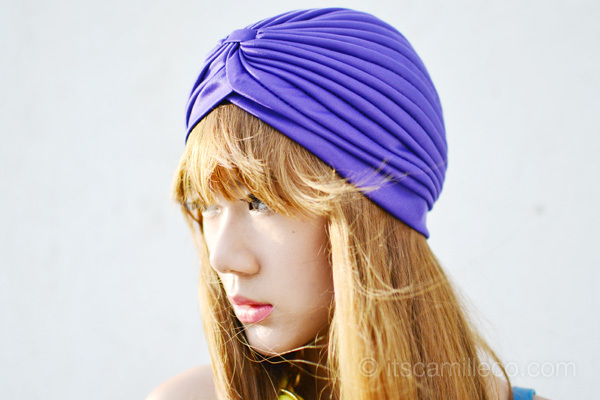 turbans & headpiece with ribbon- its so camille co. I often wonder how can I ever pull off a turban. adorable ethnic prints, cute turban! That’s an awesome outfit you got there Camille….love the attitude!!! I thought you were wearing a jumpsuit, but then I reread the post and realized that they were separates. You have an admirable eye for matching such items that are both quite loud, but somehow get together really well. :) Inggit lang ng konti. Haha! hi camille. didnt know you moved to wordpress. :) welcome to the club. ps: excited to see your feature on GMA News TV Ms. Camille! My favorites of this creation is the beginning and the end – turban and pumps. Beautiful connection between them! You’re so pretty. I love adore your outfit. Although I am not sure if it will suit me. gorilla pose-love it :) since it’s already start of rainy season, is it still okay to wear prints (specifically animal prints)? I am planning to wear one tom. Amazing pictures and outfit . I love your blog, it’s very inspiring !!! Totally love this outfit! :) so tribal-ish. I love this look. You look BEAUTIFUL here! I’m excited to see that TV feature on you! :D Do you really wear that turban all day? I love this! <3 You are so pretty Ms. Camille, sana makita kita in person and I'd definitely take a photo with you kahit na I'll look like a dwarf. Hahahahaha! Of course it’s okay! :) Thanks KC! I really love how you coordinated this outfit. 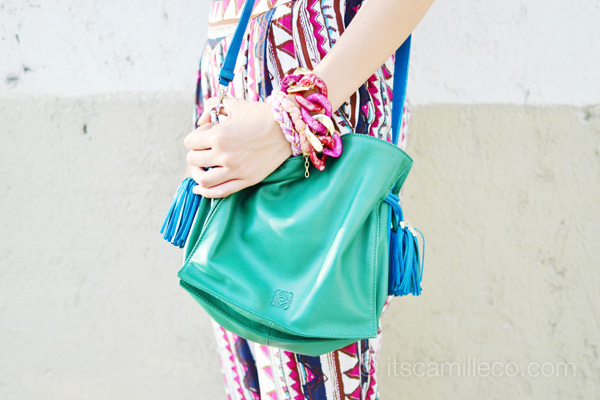 The splashes of yellow, green and blue in your choice of shoes and handbag are great additions! 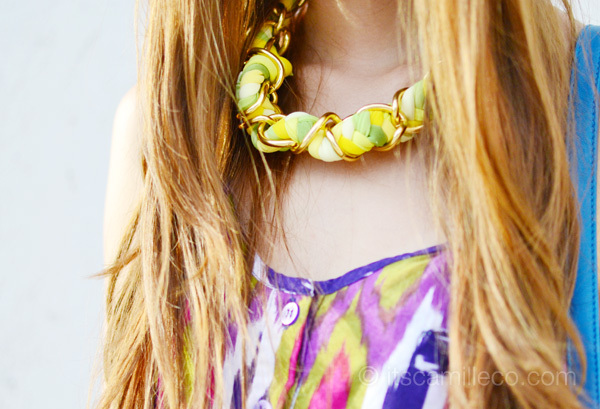 Definitely helps break up the busy pattern of the piece you’re wearing <3 Love it!!! Hahaha don’t worry, I appreciate the attempt to rhyme! :) Thanks Katherine! And the office rooftop again. :3 By the way, has coexist moved to its new location? Thanks Trish! :) I will! Thanks Rutrisha! Hope you had fun at BU!